Campsite De Goldberg is a campsite with 45 touring pitches and 80 year round pitches. During low season, between 01-04-2019 - 28-05-2019, 12-06-2019 - 05-07-2019 and 30-08-2019 - 26-10-2019, the nightly rate is €16,- at one of the 45 touring pitches at Campsite De Goldberg in Vorden (Gelderland). At this campsite you can not only use your CampingCard ACSI for inexpensive camping, you can also use your ACSI Club ID (as an alternative ID). 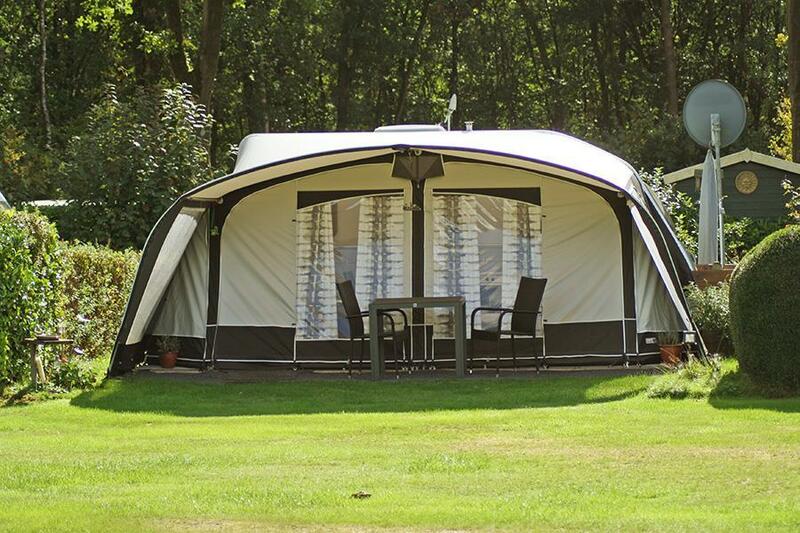 Modern, well-designed campsite among woods and vast estates. Perfect starting point for cycling, walking and horseback routes. Stabling for your own horse or pony is possible. Riding lessons possible for horse or pony (for a fee). Plenty of fishing options. Modern, heated toilet facilities. Would you like to book Campsite De Goldberg or request more information? You can do both using the information below. From Vorden N319 direction Ruurlo. Turn left past the level crossing, signposted. CampingCard ACSI will send your information request to "Campsite De Goldberg".